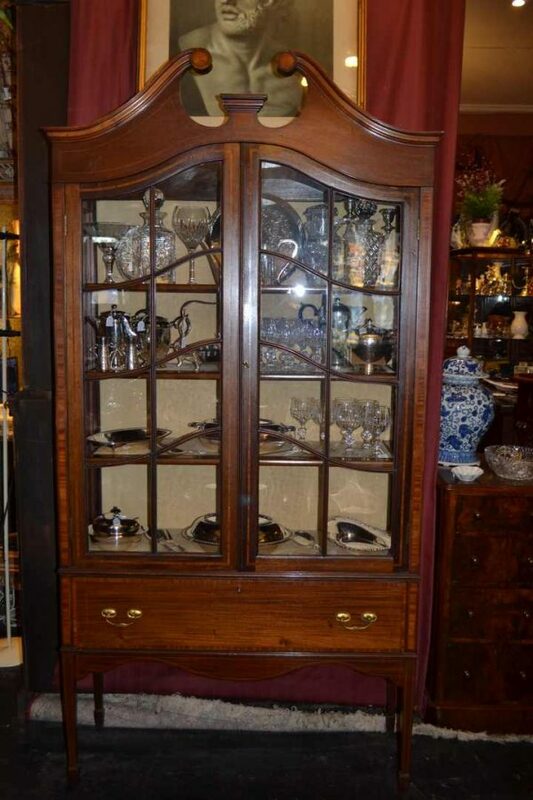 Home » Products » Antique display cabinet circa 1890. Antique display cabinet circa 1890. Antique display cabinet circa 1890. Sheraton revival period. Mahogany with satin wood inlay. Original condtion with relined interior. Features include attractive astragal glazing (original old glass). Large full length drawer at base. Welcome to Old Post Office Antiques with many examples of fine, good quality antique furniture at Melbourne’s best value for money antique shop.